Quidi Vidi Brewery in St. John’s, Newfoundland was the province’s first craft brewery when it originally opened in 1996. Today, it is also Newfoundland’s largest craft brewery, producing about 7,500 hL (750,000 liters) of beer annually. During a recent trip to The Rock, Chris caught up with Justin Fong and Einer Holtet for a tour of the brewery. They were also kind enough to spend time answering our enquiries. ACBB: Can you give me a brief history of Quidi Vidi Brewery? Justin Fong: Quidi Vidi was started by Dave Fong and Dave Rees in 1996, in a small fishing village near downtown St. John’s. The old fish plant was converted into the brewery after the cod industry collapsed in the early 90’s. What size/manufacturer/type of system is your brewhouse? Our brewhouse was manufactured by DME; it’s a 20-barrel system (620 U.S. gallons, or about 2,325 L). How big is the staff at Quidi Vidi? We employ about 20 staff members year-round, with some additional staff in the summer months for tours and events. How are your beers distributed? On tap at restaurant/bars, bottles at the LC or private stores, growlers, etc.? We deliver everything ourselves in vans. We’re in the bars, restaurants, brewing agents (convenience stores) and the NLC. Our beers are available in 341 ml bottles (2, 6, and 12 packs) and 30 L kegs. Can you tell me about the core beer you offer? Do you mainly offer a specific genre, or genres, of beer (English, German, American, Belgian)? We don’t offer a core mix at all. Newfoundland has an interesting beer market, so we try and cater to different segments without pinning ourselves in one role. Newfoundland’s craft beer segment is still in its early stages (about a 2% market share). When you couple that with our relatively small population, you need to do a few different things. 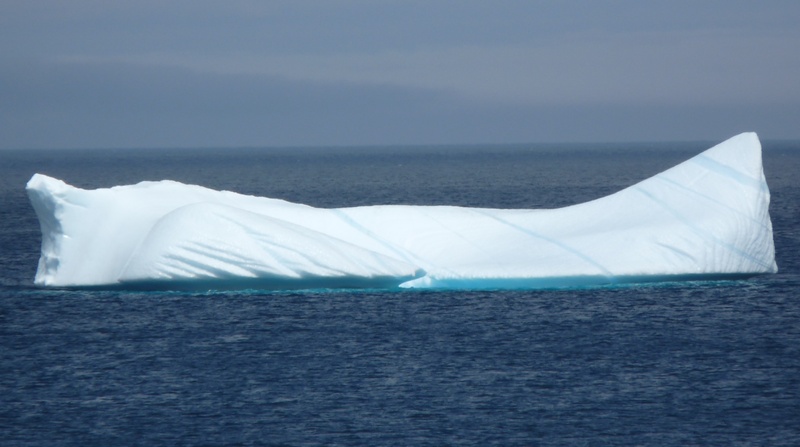 Our Iceberg Beer is an American-style Light Lager (4.5% ABV) which is brewed with iceberg water. This is our biggest seller right now and does extremely well with the light drinkers and tourists. Our 1892 Traditional Ale is an Amber Ale that commemorates The Great Fire of 1892 when most of St. John’s burned down. This was our flagship beer in 1996 and is currently our second best seller. Our newest full time brand is our British IPA, which has been selling exceptionally well on taps in the pubs of downtown St. John’s. It’s a very approachable IPA, and was brewed to help expand the variety of beer flavors available in Newfoundland. As the province’s craft beer market develops, we’ve been pushing the boundaries with our seasonal beer. Our Winter Ale combined roasted cocoa nibs, coriander and vanilla beans. We weren’t sure if it was going to be too bold and adventurous, but the sales spoke for themselves. We did two brews and sold out before our spring seasonal, Continental Pilsener, was ready! 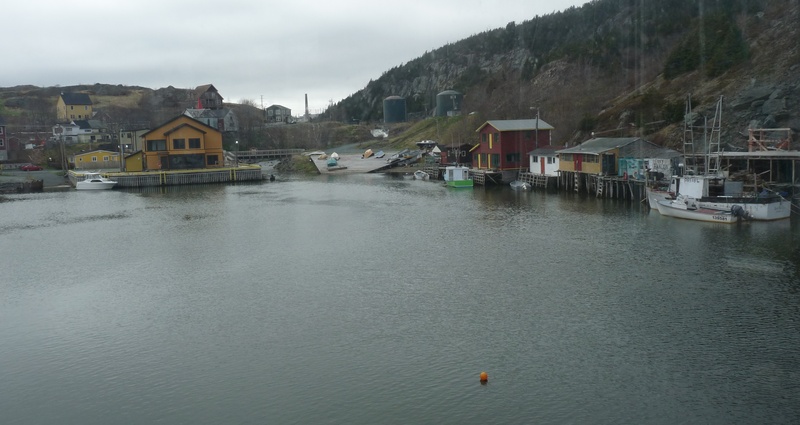 Where do you hope to see Quidi Vidi in the next 2-3 years? We’re at maximum capacity right now, so expansion is on the agenda. Within a couple years you should see some of our brands in other provinces in the country. We’ve had a ton of interest over the last couples years in markets all over the world for our Iceberg Beer. With a new brewery in place and some capacity, you may see us in some markets that wouldn’t be first choice for most Canadian craft brewers. Hah, the answer to that question changes from week to week. We just got back from the Canadian Brewing Awards in Fredericton and had a chance to taste a bunch of great beer. We were at the King Street Ale House and had a couple of beers from Le Trou du Diable which I really enjoyed. A friend of mind was in town about a month ago and brought a nice selection from the U.S.; Heady Topper from The Alchemist definitely stood out. For the love of beer, hah. The start is a bit before my time but here’s a quick story on one of the owners and founders, Dave Fong. Dave was from a town called Carboneer about 1 & 1/2 hours outside of St. John’s. While he was studying engineering at Memorial University in St. John’s, he was living in the campus residence. Dave and his friend had a deal worked out with the janitor and were secretly brewing beer in the janitor’s closet. They went back home to Carboneer one weekend and left the janitor in charge of everything. He ended up drinking a ton of the beer and getting hammered on campus. The Memorial campus police picked him up and he ratted on Dave and his friend which led to them getting kicked out of residence! So, I guess you could say they had a deep commitment to beer from a young age. Did you start out as a homebrewer? Care to share some info on your homebrewing history? I started out as what I like to call a “Home Based Craft Brewer”. There are still a lot of people who attach a negative connotation to the word “homebrew”, especially here in Newfoundland, so I like to make that little distinction. My “homebrew” has consisted of fine, hand-crafted beer from the outset, none of that old-time bathtub swill that some (particularly the older generations) recall as homebrew. There are a lot of people making great homebrewed beers nowadays, and to a great extent this has fueled the North American Craft Brewing revolution over the past 20+ years. I remember as a teenager helping my Dad with a couple batches of homebrew, and though I didn’t get a chance to indulge in the final product (MUCH! ), it did generate a spark of interest. Then after a senior class trip to Germany, Austria, and Czechoslovakia I gained an appreciation for great, flavourful beer. I knew my dad still had his home brewing equipment, and wasn’t using it, so I pilfered it from his basement and set up shop in my little bachelor suite. I bought a “middle of the road” beer ingredient kit to start with, but I just couldn’t leave it at that. I bought a couple pounds of specialty malts and some fresh whole hops to bolster the flavour of the kit. I brewed that first batch of ale in my little bachelor apartment kitchen, had stunning results, and never looked back. That was the last beer ingredient kit I ever bought – from thereon I started formulating all my recipes from scratch. When I first started homebrewing, there was not a whole lot of information online regarding home brewing, so I started collecting and reading every book on brewing I could get my hands on. I amassed a considerable library, and a considerable amount of brewing knowledge over a few short years. I tried brewing many different styles, many different brewing techniques, and experimented with many different ingredients. I even tried malting my own grains, and to this day still grow my own hops. Craft brewing grew to be my “passionate hobby”, while I worked away in the Engineering field, always with the fantasy of some day brewing professionally. Finally after about 16 years of brewing at home I decided that the only way for me to advance in my brewing was to go ahead and take some professional brewing courses, whether I ended up with the opportunity to “go pro” or not, I just wanted it for myself. So, I enrolled in the brewing program at the Siebel Institute in Chicago. By the time I was finished my coursework at Siebel, I had decided that I was going to leave my Engineering career and pursue brewing as a profession. I ended up getting hired on here at Quidi Vidi Brewery five years ago, and after a couple years of slugging away doing any and all labour-intensive/menial jobs in the brewery, I finally landed in the brewhouse and was given the opportunity I had been waiting for. In the past 2-1/2 years I have produced five new brands for the brewery, all of which have been very successful. I am proud to say I’ve taken my “passionate hobby” of 20+ years and turned it into a “passionate career”. I have always loved my malty ales. Among my favourite ingredients are the “high kilned” malts such as Vienna and Munich, and caramelized malts such as Crystal. I love the robust flavours and colors they add to beer, and I can’t stop munching them by the handful as I’m adding them to the mill! I can’t say I learned a lot about brewing from my father, but I guess I should thank him for providing that initial spark of interest back when we brewed together. In the 80’s! Thanks again to Justin and Einer for spending time with us. We had the opportunity to see them in Fredericton for the 2014 Canadian Brewing Awards, where they took home Silver for their Premium Lager (North American Style Lager) and Bronze for their Iceberg Beer (North American Style Premium Lager). Congratulations! And the next time you’re in St John’s, be sure to drop by Friday evening for their immensely popular Kitchen Parties: live music and great beer and food, right at the source! ← Friday Wrap-Up – News and New Beers from BarNone, Rockbottom, Picaroons, Hammond River, PEI Brewing, Red Rover and more! A great article – keep up the good work! Where does the name Quidi Vidi come from ??? Enjoyed your tour And especially enjoyed the tasting ! hi i’m danny boy, had some quidi vidi and thought it was awesome, like to have some more, where can i send my money? Unfortunately, QV is currently only available in Newfoundland and Labrador, do you have any friends on the Rock? QV will occasionally send beer off the island for beer fests, too, so maybe reach out to them on social media to see when their next event will be?